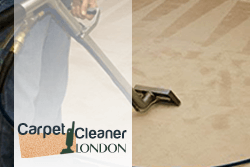 Domestic and office carpet cleaning in Haggerston, E2 London provided by Carpet Cleaner London. Do the stains and grime spoiling your carpet bother you? Have you tired many cleaning methods without achieving the desired results? Carpet cleaning is a difficult job, but if it is done properly, it can bring you many benefits. Thanks to our carpet cleaning service, you can fully restore the original condition of the carpets at your place and greatly improve their hygiene and appearance. The carpet cleaning package we offer is very flexible and you can tailor it according to your requirements, so give us a call if you have any specific requirements or if you are running on a tight budget. There are only a few cleaning contractors that can meet the quality and price of our carpet cleaning service. Thanks to our rich experience, we are able to clean all types of carpets and get rid of even the toughest stains. If you have an old carpet that doesn’t look as good as it did, then with our help you can clean and freshen it. Carpets are a great decoration and they can be found in many homes. However, they are also the decoration which requires the most cleaning and maintenance. If you don’t regularly vacuum your carpets, they’ll quickly get dirty and loose their hygiene and good looks. Having your carpets professionally cleaned 1-2 times a year guarantees that they will stay clean and will greatly extend their lifespan. We also offer a full range of protective solutions, treatments and pest repellents that can protect your carpet from stains and pests. You feel like your carpets have collected tonnes of dust and bacteria? And what about all those unsightly stains? Fret not! Our reliable carpet cleaning service, available in and around E2, London can restore your carpets to their immaculate condition. Booking us is easy and convenient as our call centre assistants are on standby throughout the week. Once you schedule an appointment, we will dispatch a team for a free on-site estimate. 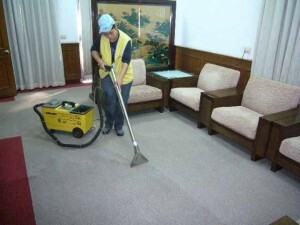 Our competent carpet cleaners will inspect your carpet to determine the origin of the stains. The carpet will be vacuumed to remove loose dirt and grime before we steam clean it to eliminate all stains and bacteria. Results are always impressive with us, so make sure you give us a call!